Michael Day is president and chief executive officer for ArcelorMittal Princeton Operations, a position he has held since 2017. A third-generation coal miner, Day’s career began with Leeco in London, Kentucky. He moved to Arch Coal in 1995, where he served as production supervisor, superintendent, manager of engineering, director of process improvement and mine manager. He joined Magnum Coal in 2006 as general manager of its Logan County operation and was promoted to director of operations one year later. Hired by Patriot Coal in 2008, Day held a number of senior-level positions including executive vice president of operations and chief operating officer. 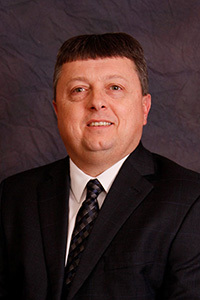 Prior to accepting his current position, Day served as senior vice president of WV Technical Services Blackhawk Mining.